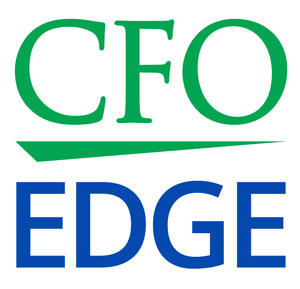 Many CFOs are often asked for financial guidance in personal wealth matters by fellow C-level executives or clients. In support of these requests for information, this article addresses wealth preservation and ways that forward-thinking executives can protect their assets and better prepare for future financial security. In today’s economic climate, there continues to be a lot of uncertainty. As the current workforce approaches retirement age, hardly anyone feels secure that they will be retiring with sufficient money in the bank. This makes it especially crucial to understand your options and prepare carefully in order to protect your assets. With careful preparation, you can create a wealth preservation plan that is flexible, accounts for market fluctuations and inflation, and is based on assets you have at your disposal. Such a plan will create a more certain future for you and your dependents. Establishing clear goals for the future is crucial. It is imperative that you have an idea of what assets are to be preserved, and for what period of time. Whether you are looking at liquidating assets currently, just prior to anticipated retirement, or much further into the future will impact the plan. Also, it is essential to incorporate into your plan an assessment of how much annual income is required in order to maintain your assets, liquidity and desired lifestyle. Consider not only investment income, but also other sources of funds such as Social Security or other retirement benefits. It is important to know exactly from where you expect to receive funds. Furthermore, determine whether you intend to consult or otherwise have an income after retirement, or whether the difference between Social Security and pensions will all have to be generated from investments. A comprehensive plan of action must also account for inflation, since it is likely to be a key factor if you are looking at longer time frames. In addition, it is likely that over time there will be increases in income tax rates and health costs. These must also be considered when you design your plan. Lastly, look closely at your current finances with regard to your ideal lifestyle. If you already have sufficient assets at this point in time to maintain your desired lifestyle, consider what additional expenses you might incur. Such outflows may include charitable donations or trusts left to inheritors; payments made in support of grandchildren or your parents for care, and education. What if you or your spouse encounters unplanned medical issues? Do you have long-term care coverage, or will you have to pay those costs? After accounting for such expenses, consider whether it is still likely you can maintain the lifestyle you desire. If not, then perhaps either reassess your goals or look closely at your planned outflows. These issues must also be considered if you do not currently have sufficient assets to meet your goals, but they become secondary to accumulating assets. Besides developing a clear plan for managing your assets over time, it is crucial to have a comprehensive, honest picture of what assets you have at your disposal to generate liquidity. During this part of the process, it is advisable to consult with professionals. These experts can run a Monte Carlo analysis under different earning and inflation assumptions in order to give you a view as to what your investments must generate in order to reach your goals, and what kind of risks you have to accept. Similarly, it is once again important to remember the dangers of inflation. Inflation, unfortunately, is a fact that must be accepted and accounted for. Over the coming years it is likely to have a significant impact. You therefore ought to have assets in your portfolio that are likely to perform well during an inflationary period. Such assets generally include stable blue chip dividend paying stocks, as well as real estate and other hard assets, including gold and silver. With inflation in mind, it is also advisable to maintain a healthy supply of cash. Even though cash generally earns virtually nothing, it will be a useful tool if inflation escalates. Cash positions you to take advantage of any opportunities that arise and ensure that you can take comfort in always having at least some secure assets. Furthermore, it is vital that you plan for any sales of illiquid assets that you currently own. This will include any assets that are not traded daily and require time to liquidate. Significant thought must be given to issues such as timing, sales price, and taxes, especially if the liquidity of these resources will be necessary in the future to provide funds for living expenses. Lastly, and perhaps most importantly, your assets must be assessed in conjunction with any employment you are currently engaged in, especially if your current business represents a significant portion of your wealth. If this is the case, then consider carefully what your exit or liquidity plan may be. Ensure that such a plan is carefully structured and in place for the future. If a plan is not already in place, then be certain to develop one as soon as possible, considering the role that life insurance will ultimately play in the process. § Create a clear, comprehensive plan of action that considers a variety of issues including timing, current assets, and necessary income. § Assess your current assets with a view toward the future. Maintain a store of cash and determine how you will liquidate any illiquid assets that you currently own. § Be sure to consider the impact of inflation in the development of your plan. Inflation is likely to be significant over the coming years, and it is vital to account for its impact on your plan of action. You must also maintain a portfolio of assets that will perform well during inflationary periods. The process of preparing for the future is incredibly important for determining your future financial wellbeing. Los Angeles and southern California executives may want to consider consulting with a CFO services firm, a resource with experienced professionals who can run detailed analyses and give expert advice on how to structure your investments.